Under Construction. UNDER CONSTRUCTION. 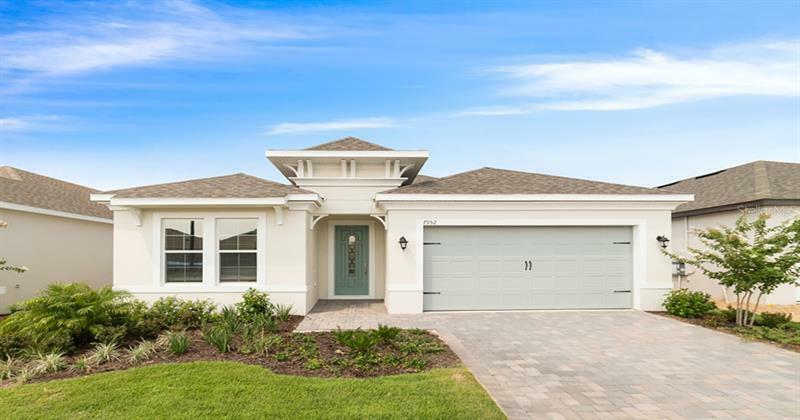 Estimated Completion May 2019 This is your chance to buy at ground breaking prices in Central Florida's newest and most desirable 55+ community. Four Seasons at Orlando is located minutes from Disney and will encompass everything a 55+ community should be. Greeted by manned guard house. 5 furnished models to tour and plenty of lots to choose from with may right on the golf course! The 12000 amenity center is truly amazing! From 3 pools tennis bocce and pickleball courts to a crafting room and test kitchen; it has everything you could want! This state of the art clubhouse offers a resort lifestyle for its residents and a full time activity director to keep the party going 7 days a week! The Saint Lucia is a spacious single story ranch with 10â ceiling and a large open concept living area perfect for entertaining and built around the beautiful gourmet kitchen. This kitchen is nicely appointed with all stainless-steel appliances 42" bright light cabinets and granite counters. The oversized lanai and 12 FOOT sliding glass door make the perfect place to host family and friends and make the most of beautiful evenings. Just off the common areas is the first-floor master bedroom with the spacious master bath and oversized vanity also with granite. All common areas including living room have 6 x 24 neutral gray wood look tile which is gorgeous and easy to maintain.